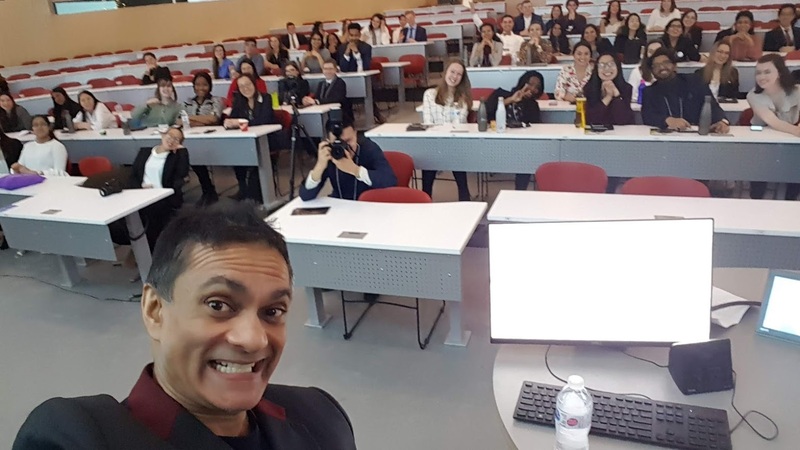 And while I’m plugging things (insert “your mother” joke here), I’ll be speaking on a panel at the Interdisciplinary Student Research Conference on Healthcare on March 30. Something about whether drugs are over-prescribed to kids with ADHD. Spoiler alert: yes they are. If you don’t know (and you should), all my upcoming events and appearances are logged in the news section of this site. So what else has been going on? Well, I’ll tell you. As a fancy pants professor, occasionally I get commissioned by fancy pants journals to author special articles on topics in which I supposedly have some transcendent expertise. One such offer came a few months ago when a journal who shall be unnamed asked me to write an article about a specific ethical question concerning gestational surrogacy. I wrote a very long manuscript to satisfy their brief, and it was sent out for peer review. Well, 3 out of 4 reviewers thought it was fine and asked for some minor editorial changes. The 4th reviewer hated everything about my paper and wanted the whole thing rewritten. I made what changes I could and submitted the revisions. Well, the journal REJECTED the paper! No request for further revisions, just a outright rejection! Whaaaa? Anyway, my ego has taken quite the hit, and I’ve shipped the paper off to another journal. 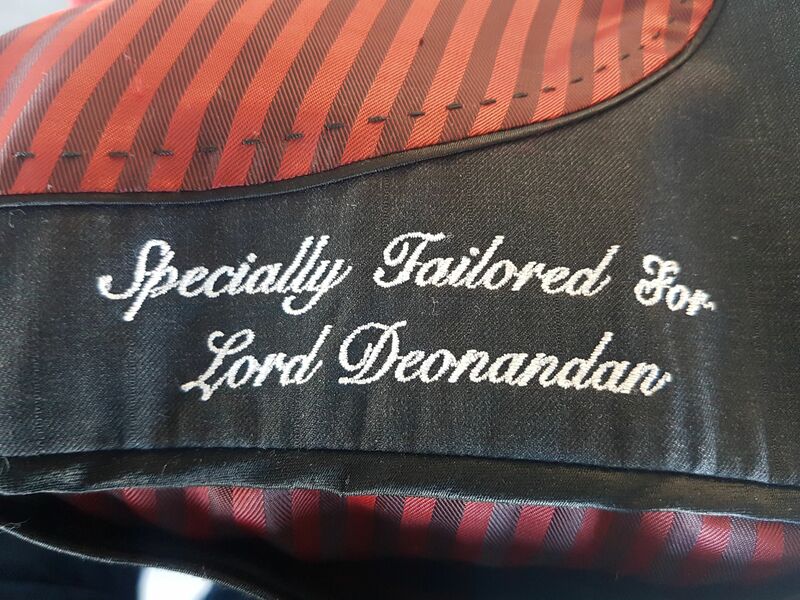 Um, I *AM* Deonandan from the University of Ottawa. 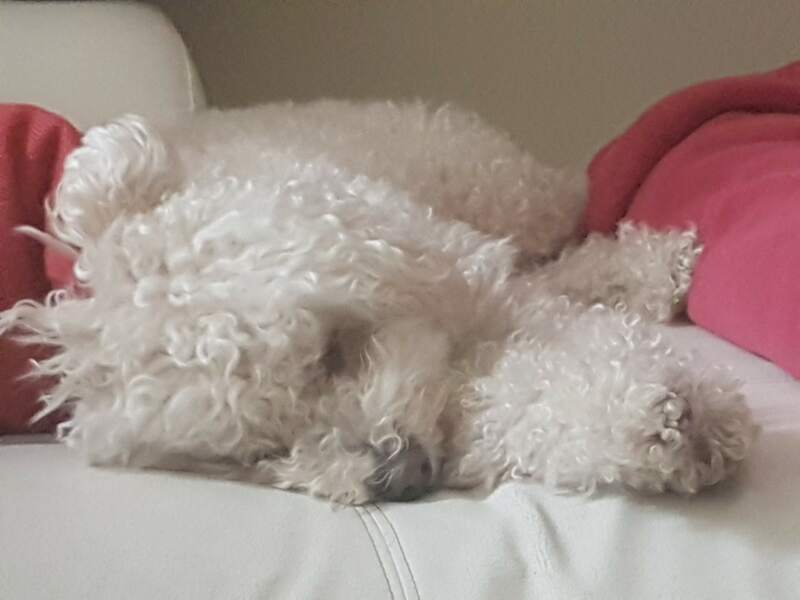 It’s like coming second in your own lookalike contest. 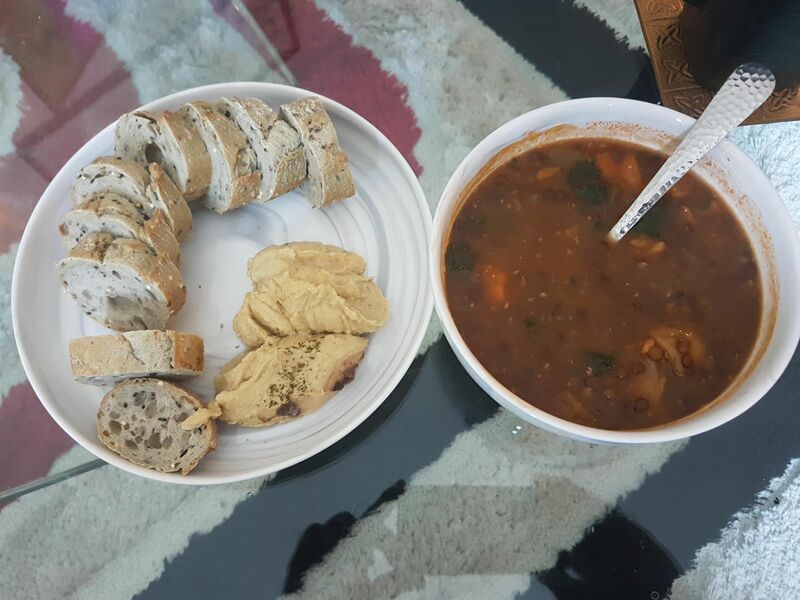 Jan 21 – My sister’s delicious vegan lentil soup with a side of bread and hummus. 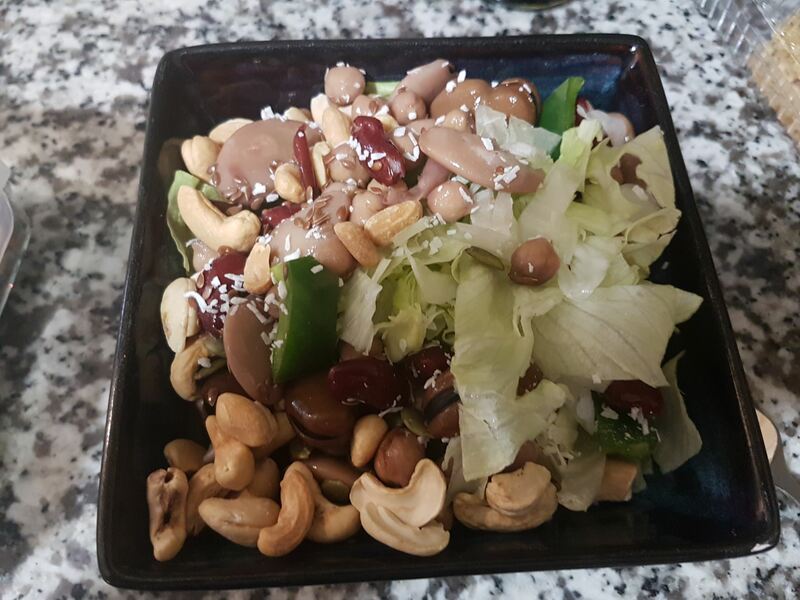 Jan 22 – A salad made with lettuce, mixed beans, coconut, cashews, bell peppers and flax seed. 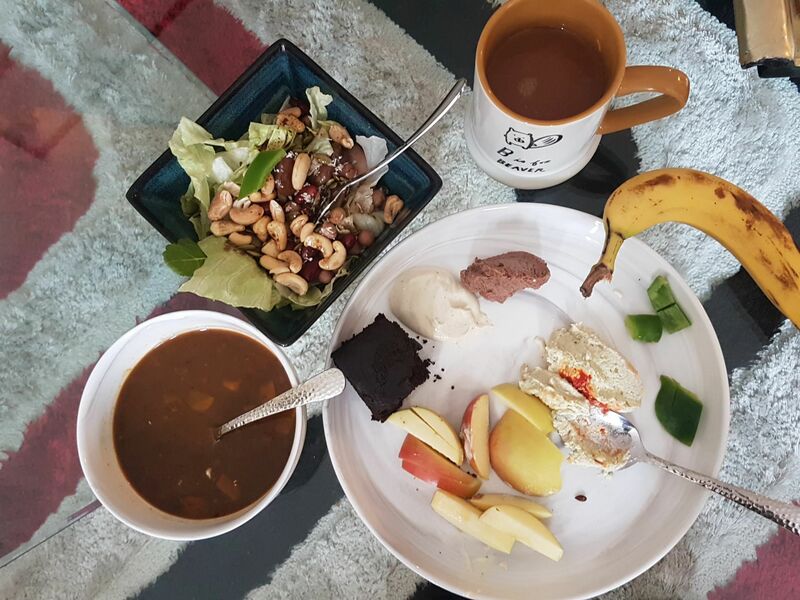 Jan 23 – Canned lentil soup, another mixed bean and nut salad, various kinds of hummus, my sister’s chocolate corn bread, refried beans, an apple and a banana. 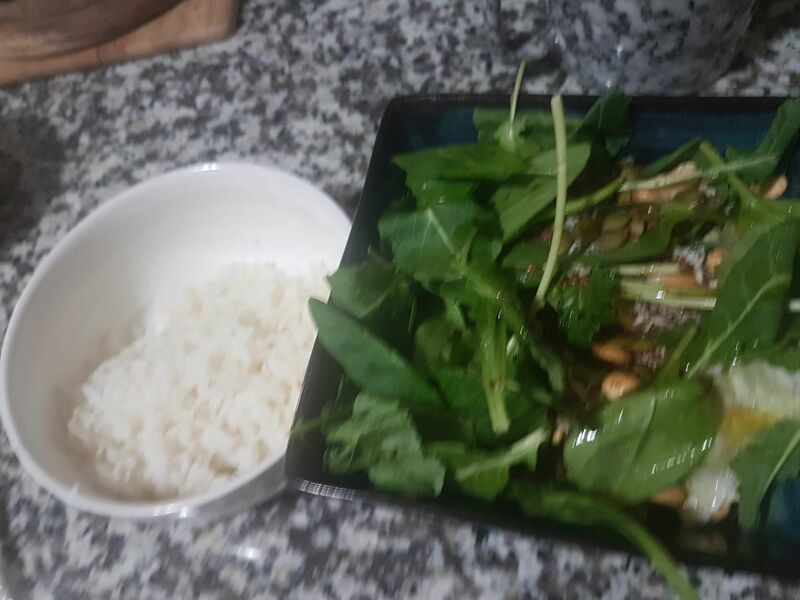 Jan 24 – Kale, spinach, beans and nuts salad and a bowl of rice. 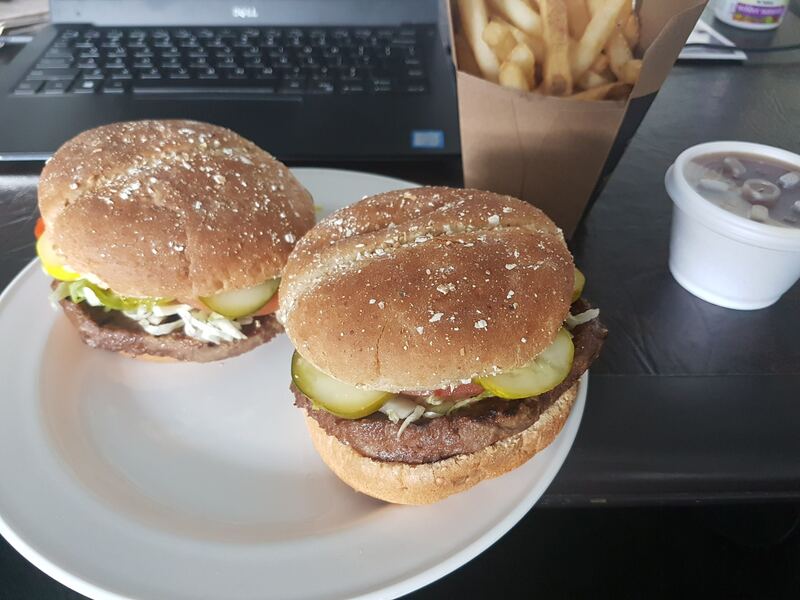 Jan 25 – Two Harveys vegie burgers, fries and vegan gravy! 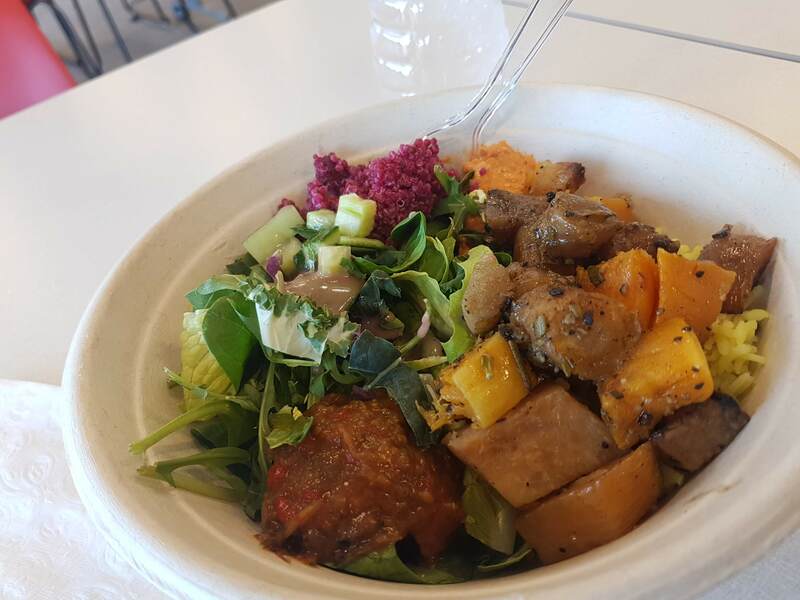 Jan 26 – Vegetarian salad bowl from the conference where I was speaking; catered by Nando’s. Jan 27 – Egg day! 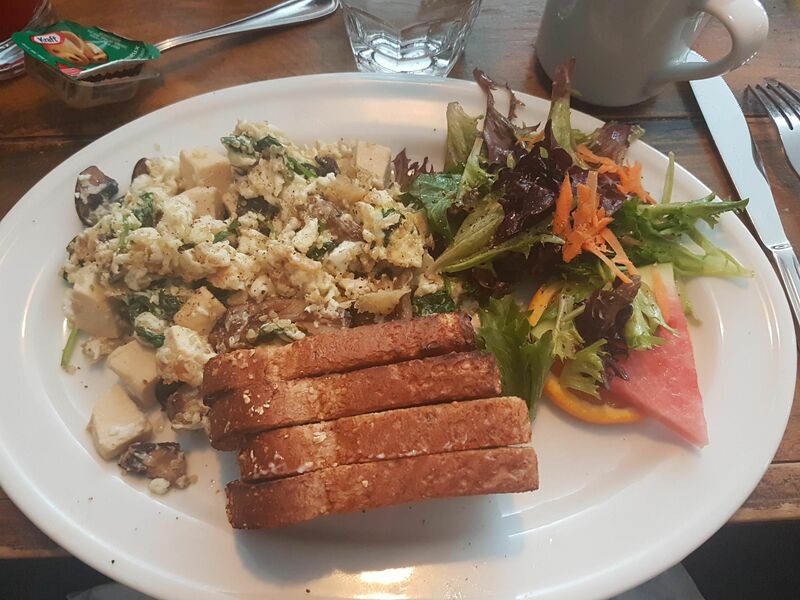 “Zen scramble” from The Standard on Elgin Street: egg whites, tofu, mushrooms, spinach, and toast. 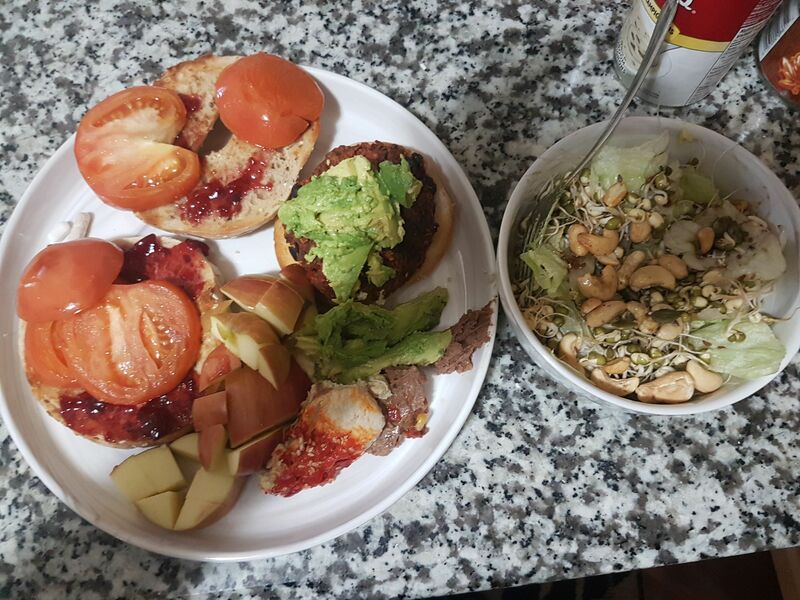 Jan 28 – Lettuce, cashew, mung bean, coconut and flax seed salad; toasted bagel with jam, a friend tomato, avocado, hummus, refried beans, and an apple. 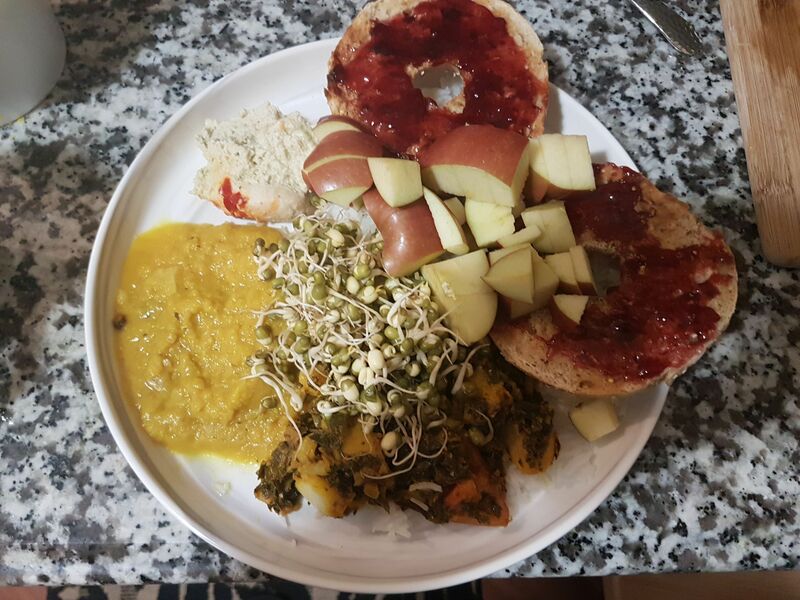 Jan 29 – Dal, rice, spicy aloo saag, hummus, an apple, and a toasted bagel with jam. 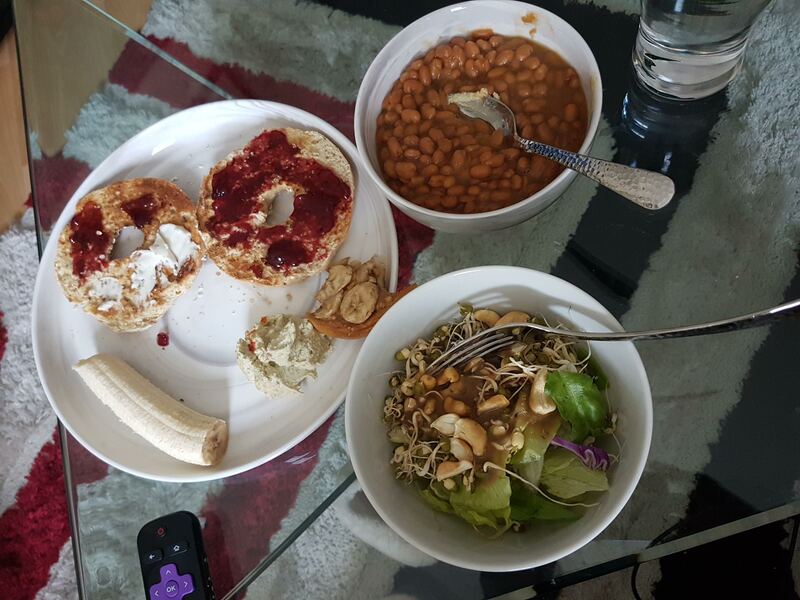 Jan 30 – Baked beans, mung bean and cashew salad, toasted bagel with jam and vegan cream cheese, a banana, and hummus. I’m afraid so. I’m at the Blonde Girl’s house and we are over the internet data limit, so I can’t do my regular thing of watching endless youtube videos while I figure out what to write next. Instead I have to read a book or something old school.